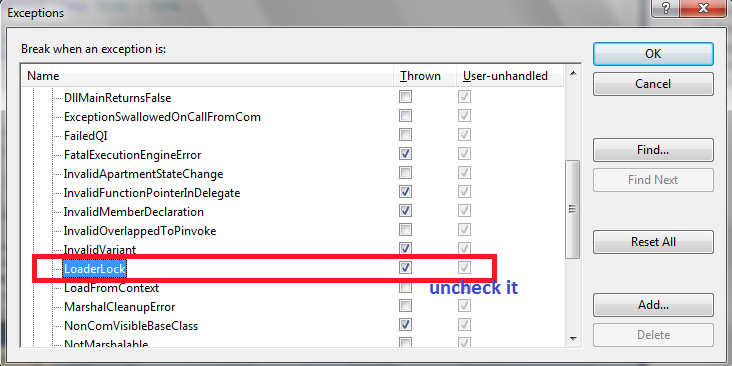 now uncheck the loader lock and click ok, problrm solve. 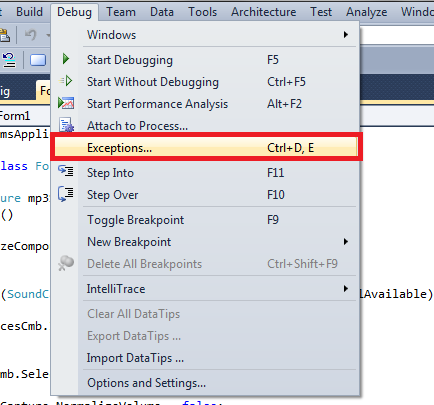 This entry was posted in C#, CPP, F SHARP and tagged debbuger exception managed code, direct x exceptions in vs, Loader lock, Loaderlock, Loaderlock exceptions, managed debugging assistants, VISUAL STUDIO. Bookmark the permalink.